Magnificent show of men competing power & skill! 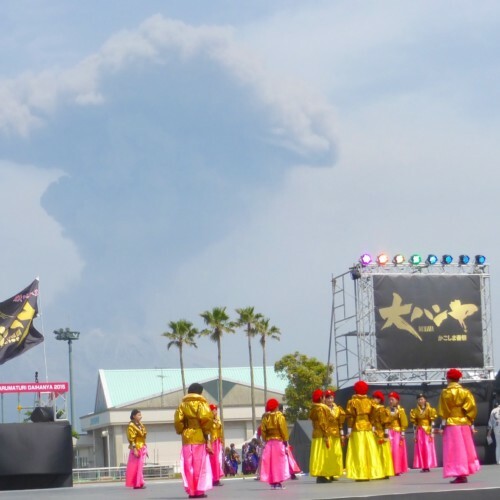 You cannot miss the gorgeous Taiko drum shaped floats! 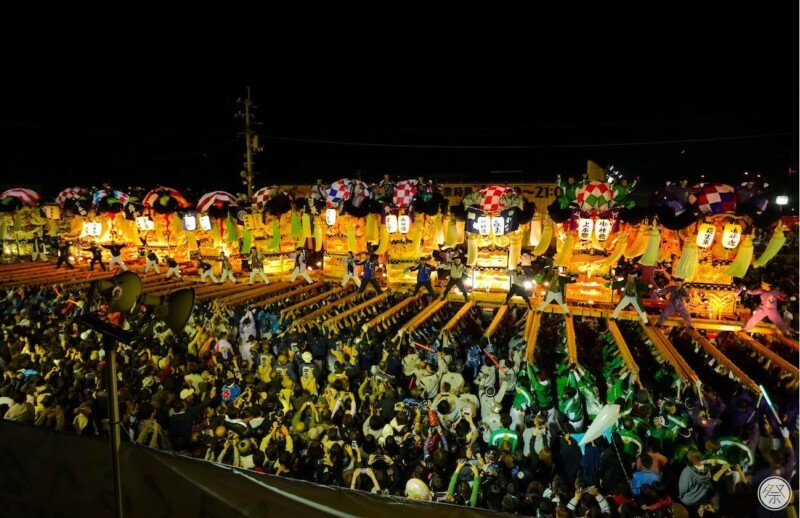 The Niihama Taiko Festival is an autumn festival held in celebration of good harvest. 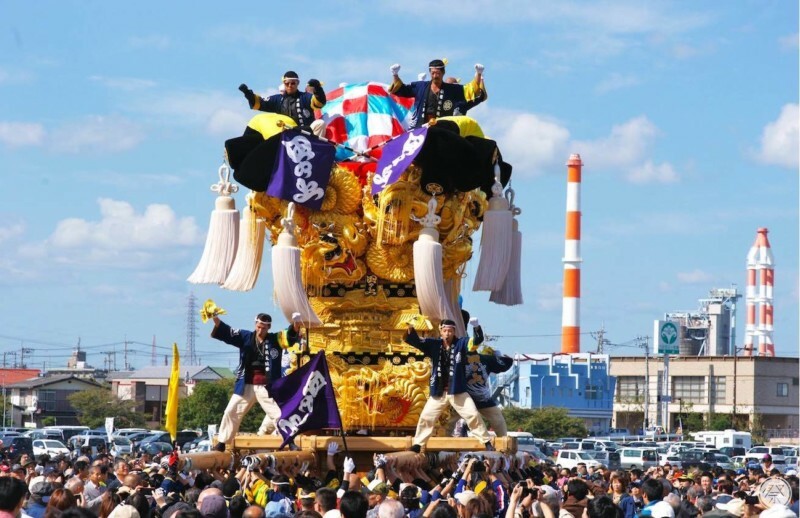 It is a sacred ritual and the most well known ethno-cultural event representing the city of Niihama. 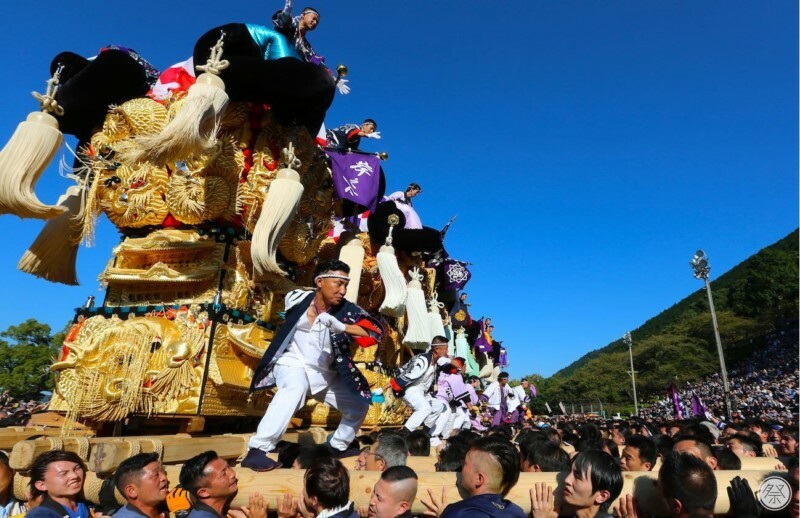 Considered one of the top-three in Shikoku, the festival has an incredibly rich history with its origins dating back 1,000 years. 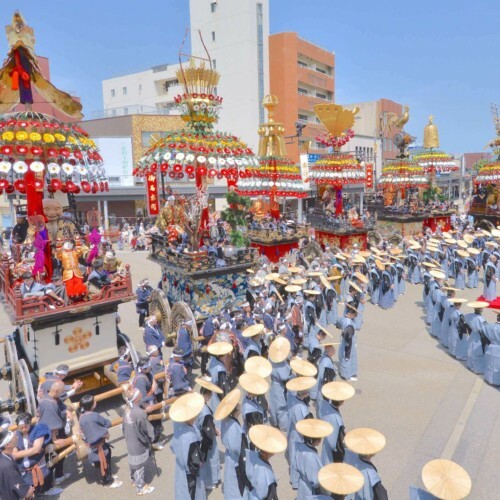 The festival is also known as “Otoko-matsuri” (men’s festival) due to the powerful beauty experienced as 150 men lift up their Taiko-dai—massive 3 ton Taiko drum stands measuring 5.5m in height, gorgeously decorated in 3D gold thread embroidery. 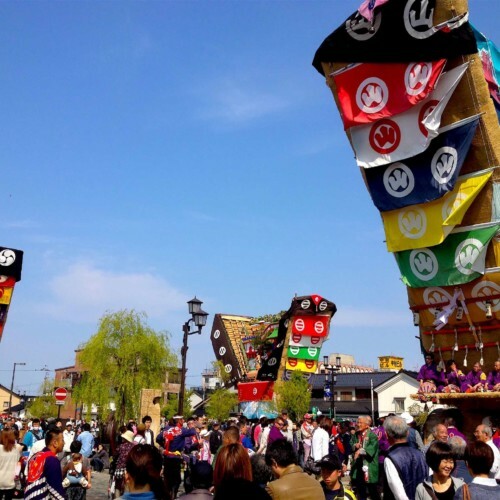 The biggest attraction of the whole festival is the Kakikurabe, where men known as “kakifu” compete their power and skill lifting the Taiko-dai. 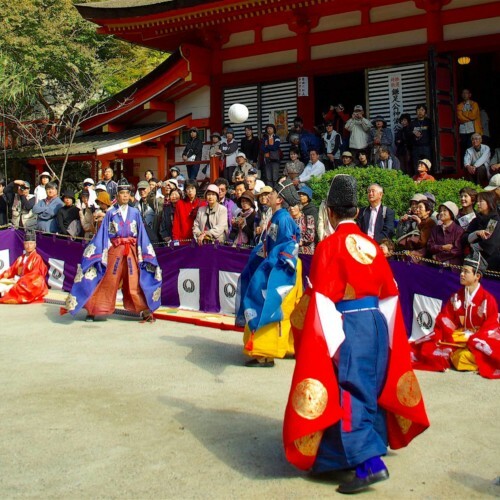 Every district has their Taiko-dai, and you will witness many Kakikurabe throughout the city. 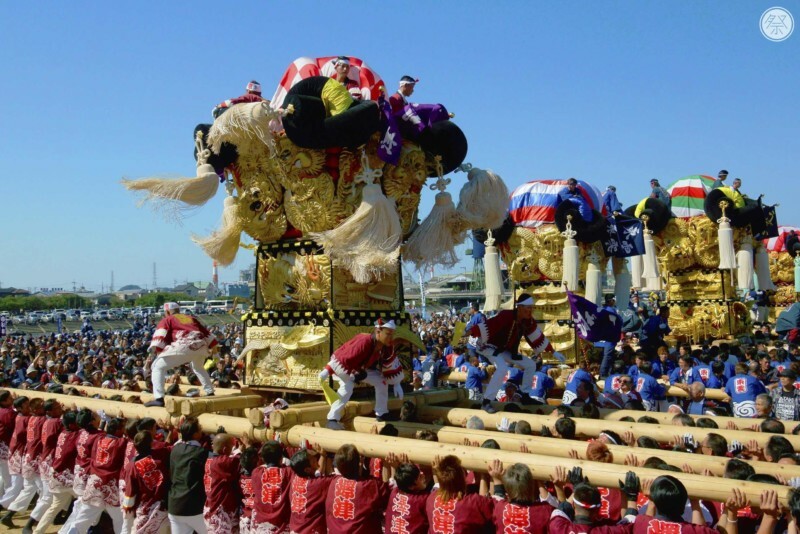 The must-see is Kakikurabe, where the 3 ton Taiko-dai is lifted by 150 men. 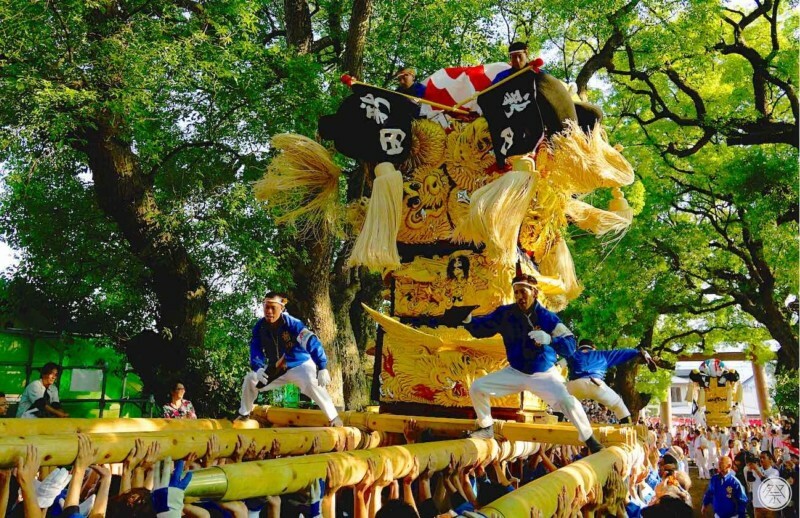 Multiple Taiko-dai consolidate to put on a competition, taking off their wheels used during the parade, and the men take on each other for who has the most power and skill. 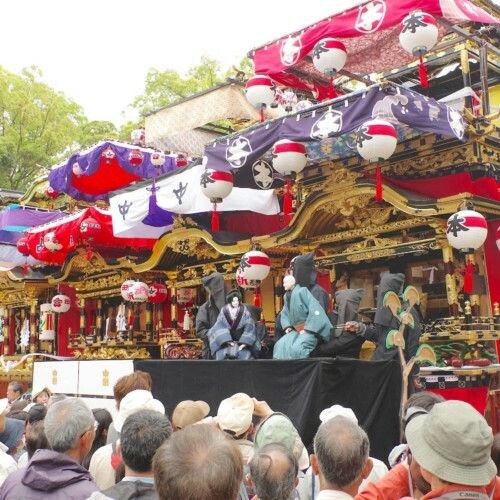 These Kakikurabe are held all across the city during the festival dates. The Taiko-dai are decorated with gorgeous covers embroidered with specifically colored strings. They look astonishing during the daytime as well as nighttime when they are lit-up and glittering. 2. Get your hands on the embroidery art used in the festival! 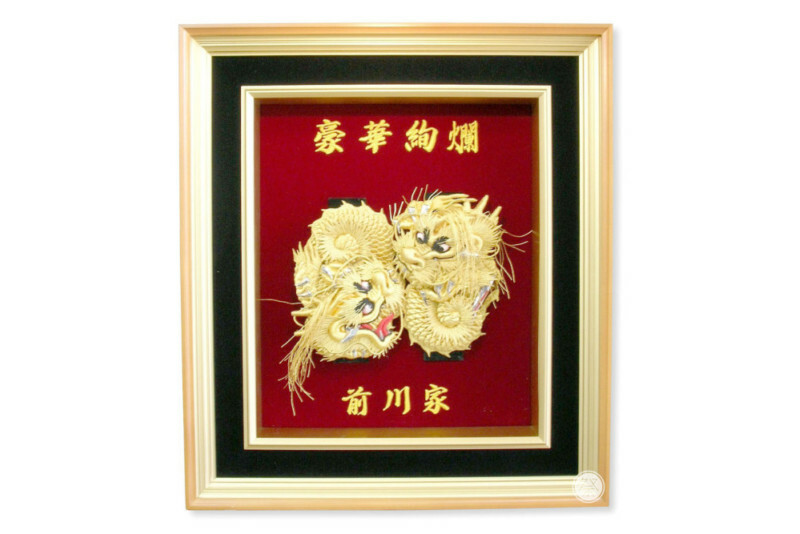 Original in-frame embroidery art by Maekawa; a well-known local brand in charge of the festival’s embroidery. In the frame are the ascending and descending dragons used as design on the Taiko-dai. A perfect piece of artwork as souvenir to remember the festival! 3. 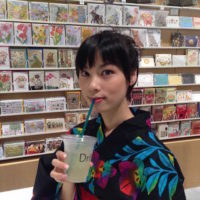 Try Niihama’s own unique Fuguzaku! 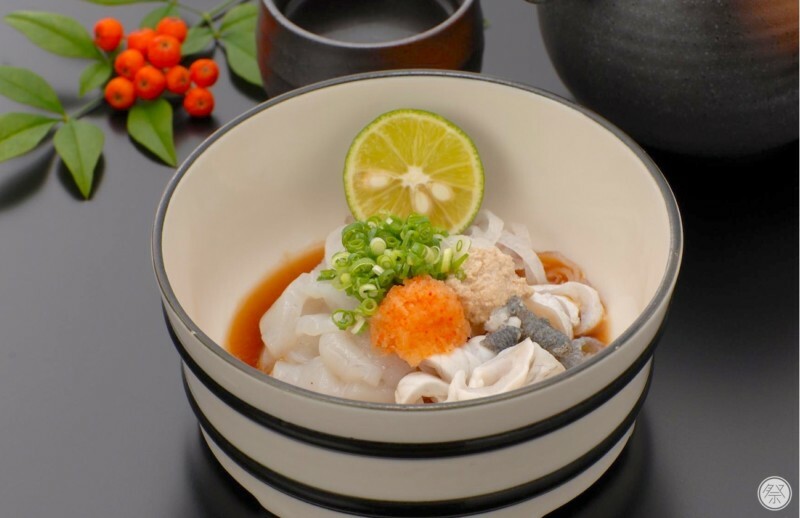 Fuguzaku is an original dish of Niihama, using puffer-fish meat and skin, green onions and threadsail filefish liver, seasoned with spices and ponzu-sauce. Restrooms Some venues set up temporary lavatories in addition to having regular toilets. Other useful Info. Many restaurants in the city close during the festival dates. 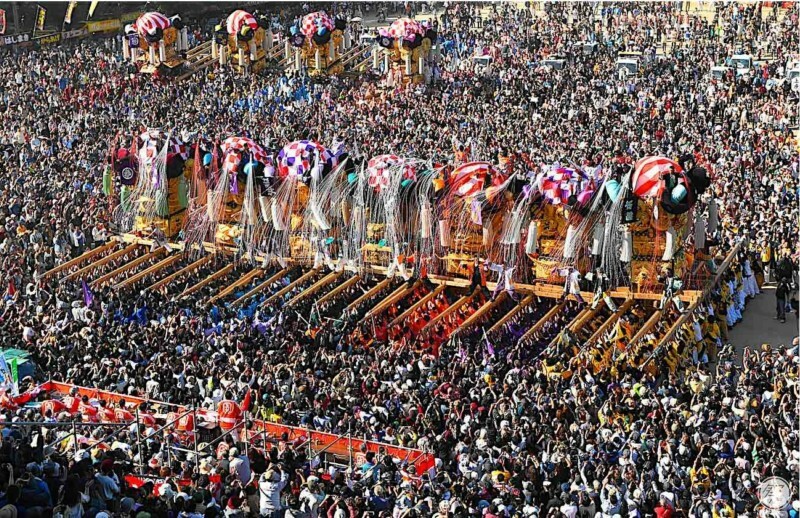 The Taiko parade takes precedence over all other activities in the city during the festival time. Please plan accordingly. You may approach the Taiko-dai while it is standing still, but please do not get too close when they are in motion. They might make sudden unexpected turns.